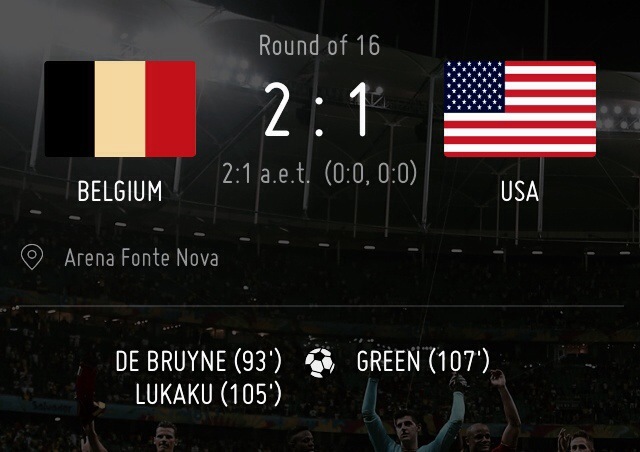 (Again) Extra time goals that brought Belgium overcame the American. There were 3 goals in this thrill match. USA scored but not enough equalise, and Belgium joined the Quarter Final stage.